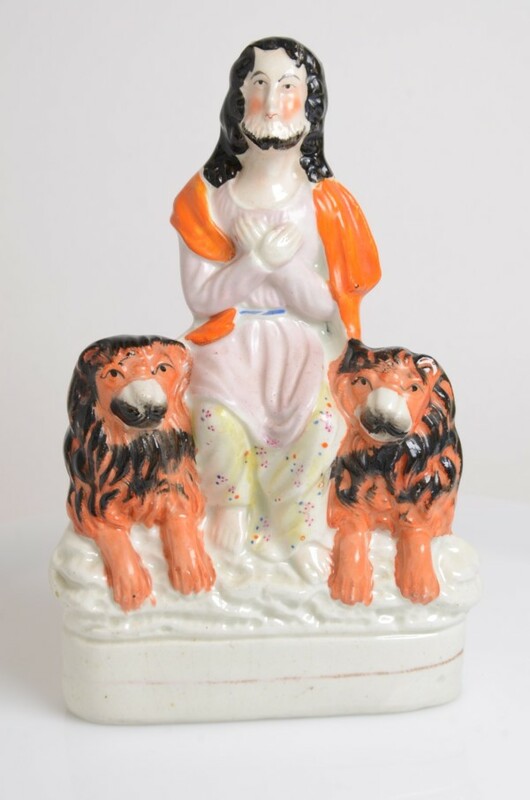 A well coloured and decorated figure representing Daniel in the Lions Den . 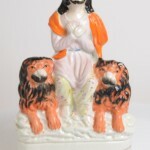 Daniel sits between two male lions . In excellent condition.